Your digital platforms—your socials and website—should all be contributing to your brand. Building consistency in your brand is equivalent to building trust with your audience. Your viewer comes to know your content, your style and starts to build a connection with you. It’s an important step to cultivating that all important relationship with your customers. Mel Hay, from Hay Monday, is a Social Media Manager and Digital Branding specialist. She pulls a brand together across all aspects and builds engaging, consistent, branded feeds for her clients. She is kindly sharing her wisdom on how to maintain digital fluidity across all of your platforms. 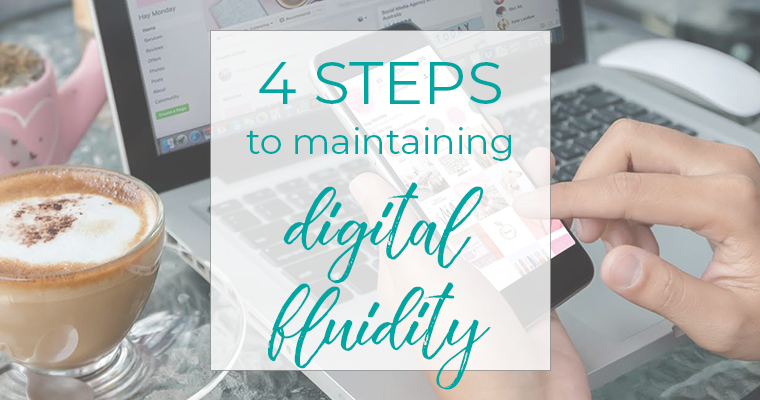 As with any good practice in business, it’s all about filling your toolkit up, and digital fluidity is no different. I am sharing four tips that will help you establish more consistency with your branding across your online touch points. 1. KNOW YOUR BRANDING & STICK TO IT! The only thing worse than seeing a logo that has been stretched out of shape (which really grinds my gears! ), is seeing a brand that lacks consistency. Mismatching fonts, lack of cohesion with colours and poor quality logo images sends an undercooked message to your audience. And nobody wants to pay for undercooked anything… unless it’s Sushi. Your logo designer should have provided you with a breakdown of the elements that make up your logo (similar to the one below). If this is the case you will have your specific font names, colour codes (RGB, CMYK & #Hex) and different logo file types to maintain visual brand consistency. It takes practice and planning to apply these with consistency but it is totally DIY’able with the right tools. Firstly, do yourself a favour and download the Canva app. Canva is a small business owner’s best friend, it allows you to create graphics for just about everything from social media posts to book covers and brochures. You can load your logo’s, fonts and colour codes into your brand kit and you are set for success. Hello cohesive! Tip: Pin a few inspiring images that reflect the vibe of your brand above your workspace to serves as a visual reminder to you. A border check of sorts (ha!). And always, always, always remember, if it isn’t on brand, don’t post it… no matter how much you love it. Your words (copywriting) need to resonate with your ideal customer so mapping out exactly who they are is vital to set your tone effectively. Tip: Deep dive into getting to know who they are! This will require you to dig deeper than ‘female, 25-35y/o’. Once you have established this (in detail), you will be able to target the language your ideal customer wants to hear and start answering all those questions they want answering but haven’t yet asked. This will build trust, add value and encourage engagement. One of the best investments that a brand can make—HANDSDOWN—is professional headshots and product images. It’s a digital world that we are living (and working) in and that world relies on…yep, you guessed it… visuals. Tip: Choose a photographer with a style that is consistent with your brand. This will provide you with a gallery of consistent images to dip into for months to come in many different applications. Write a photography brief and send it to your photographer prior to your shoot. Include any inspiring images that you have found, along with essential shots that you require to maximise both you and your photographer’s time and ensure you capture your desired images. Being a Social Media Manager, I understand just how vital organisation and direction is. There are some great that will help keep you organised and enable you to go from laptop to smartphone and back again in a jiffy. 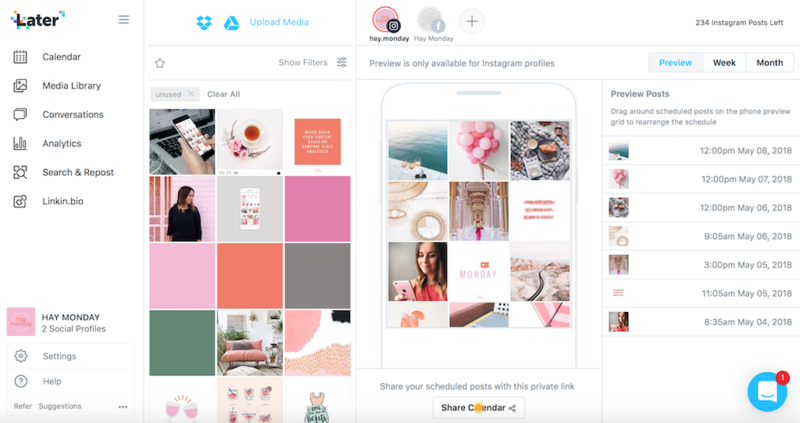 Scheduling program’s such as Later and Hootsuite make managing multiple platforms achievable (and less frantic). They are desktop and app-based, allow you to set your scheduled items to auto-post or prompt to post. No more phone-claw hand. #goals! 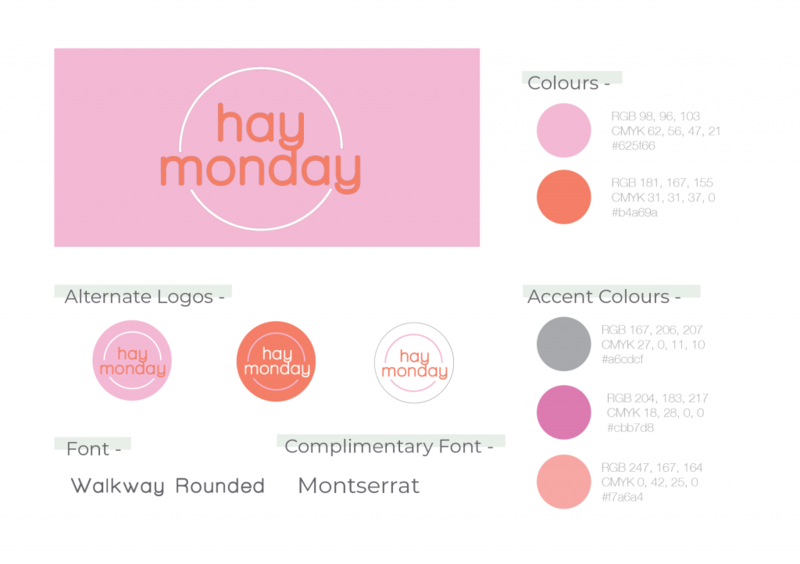 If you would like any more tips on digital branding or social media management, please feel free to get in touch via Instagram, Facebook or drop me an email at hello@haymonday.com. Mel is a Social Media Manager with a special interest in small businesses and online startups. She lives in Melbourne with her husband and their 3 kids who are 9, 2 & 2 – yep twins! She lives for coffee, winter, a great pinot and is slowly but surely becoming a plant hoarder. Mel has a background in design and a passion for sharing practical techniques that help small businesses find their digital presence. AJ Harrington is a product, website and branding photographer with a base in Mandurah, Western Australia and servicing clients in Perth and over east. 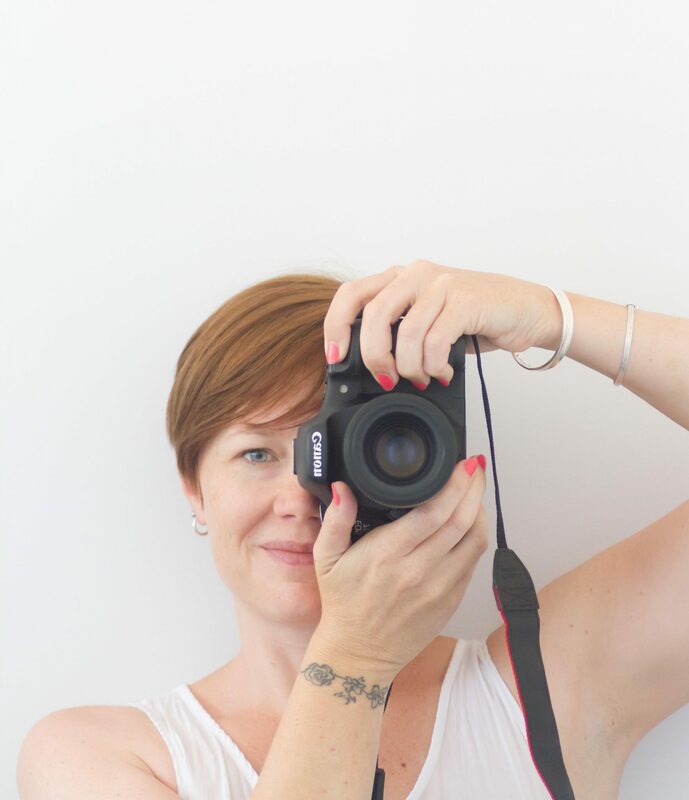 AJ has 10 years photographic experience and specialises in capturing the essence of a brand through storytelling. 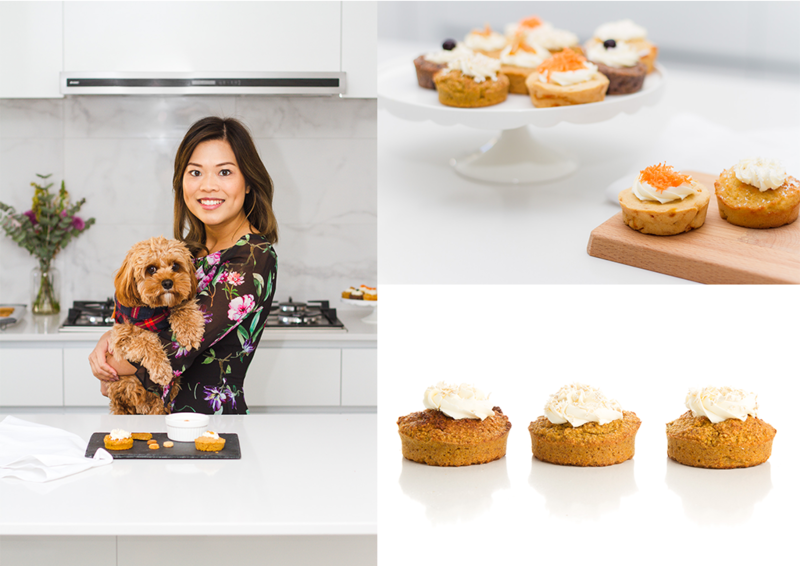 As a visual storyteller, AJ is able to connect brands to their audience by giving a time, place and emotion to the subjects she photographs. She creates visual content that is personally styled and perfect for each client. 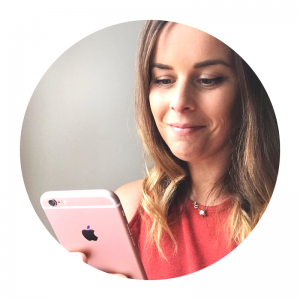 AJ is a mum-of-one, an Instagram addict, coffee lover and a small business supporter.